Ilya Ruderman: Type Today is on everyone’s mind, and yet there are few places where people can discuss or share their thoughts about type. We would like to change that. In your opinion, what is Type Today? Frank Grießhammer: Type Today is as important as it ever was. Type is my job, so it is very important for me personally, but Type is also something that makes me a happier person. For some reason, when working on type projects, I feel like I am doing something significant. 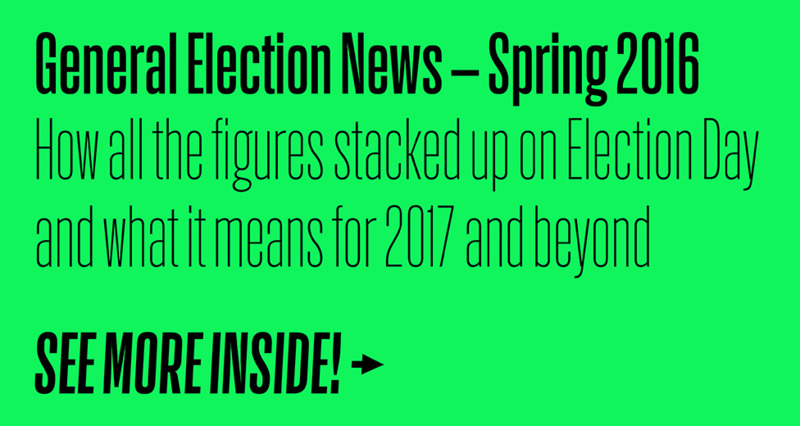 In regard to the general state of Type Today, you will notice there are more and more typefaces released every day. Type certainly is a growing industry, but I think there is also a growing awareness of Type. Many people use Type. IR: Who are those people? Are you mainly thinking of Designers? FG: All kinds of people. I think the era in which normal users only choose Calibri and Comic Sans is coming to an end. More and more environments enable the use of type, such as apps on iPhone or iPad. The use of Type Today is constantly changing, often in surprising ways. IR: Let us look at it from a different angle. What are your thoughts on the latest type releases? How are they different from previous years? FG: Not only the latest typeface releases interest me. For me, much depends on the foundry. A type foundry today is like a music label for fonts. For example, if a record label releases music I like, I’m more inclined to look at their catalog for new music, than going to another label. When I see type labels like Production Type, Process Type, or CSTM Fonts, I will probably know the people behind them, and I will know about their ideas. This allows me to better understand their typefaces and it makes the decision to buy easier. IR: Do you prefer to personally know the team behind a typeface? FG: Not necessarily, but at least I want to know they are good people, and they are doing the right thing. If i notice somebody is releasing one font after another, but I have never seen them contribute something to a conference, and never had a personal conversation with them, it feels like one-sided communication. I am not very inclined to buy fonts from an unknown source. 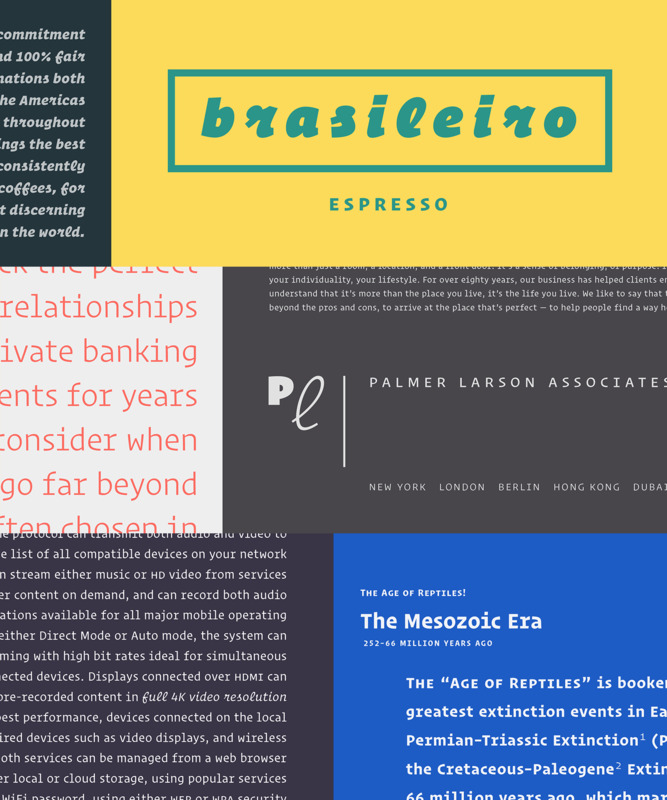 IR: You were invited to review one the releases of 2015 for Typographica’s “Our favorite typefaces of …” series. I looked through the list for modern, contemporary typefaces, but I only found a few interesting projects. In your opinion, what are the criteria for marking a typeface as relevant, fresh, and new? FG: I have come to the realization that people like best what they already know – in consequence, typefaces that are somewhat reminiscent of previous typefaces will be popular, and therefore “contemporary”. For instance, a typeface in the genre of Helvetica is more likely to attract buyers, simply because it looks familiar. A totally new design with shapes never seen before will probably not be very successful. 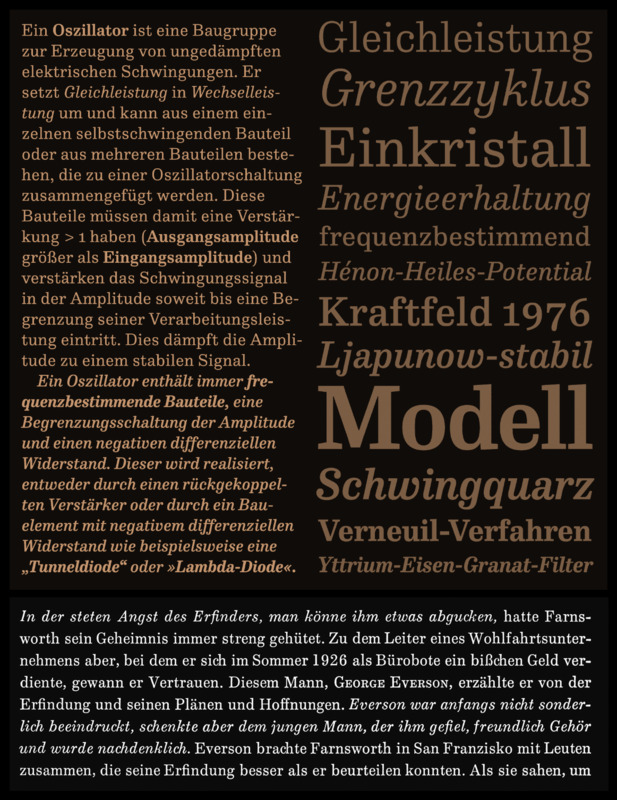 The typeface I reviewed for Typographica is FF Hertz by Jens Kutílek, a very interesting project. Some of my theory also applies to FF Hertz: Its design is reminiscent some of Hermann Zapf’s older work, and still it is also a very independent design. It is the mix of old and new that I find quite interesting. Another typeface I seriously considered reviewing was Kazimir. A similar concept: A modern interpretation of a Classic style – created by someone I respect. These are the elements I look for in a typeface. IR: Can we conclude that typefaces are fresher when they use a combination of the old and the new? I saw quite a lot of projects with names like “Modern Classic” and “Modern Renaissance Serif”. FG: In a way, all typefaces are interpretations of things that already exist. In type design, variation is only possible to a certain degree; but if you do it intelligently by combining old influences with new ideas, I think you are on your way to creating a successful typeface. IR: Does that make all revivals out-of-date? FG: A pure revival can be an interesting exercise, but the result is often stale, because the project feels like it has fallen out of time. You don’t want to relive the 1890s, or the times of Bodoni exactly as they were. I think revivals need to be placed in a target time zone. A good example for this would be Parmigiano, a modern revival of Bodoni’s work. 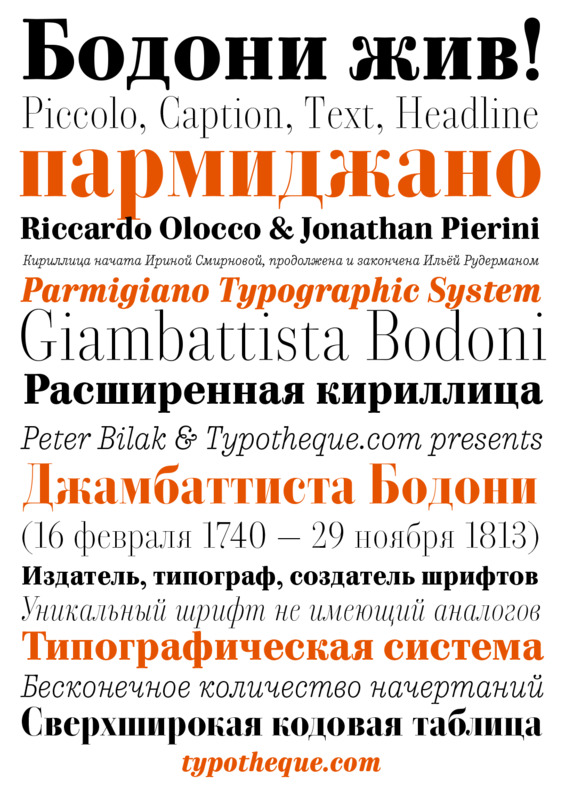 Historic material was used to create new styles that were not seen before, and the project even includes Arabic, Greek, and Cyrillic versions. IR: Speaking of different criteria, about 25 years ago when the first Computers came out and typography began to change, there was a sort of “Brody” period. It wasn’t a period of digital trash, but maybe we can call it a period of digital experimentation. When this kind of typography became established and quite common, the next period began – Grunge. People started to produce quite interesting typefaces and experiment with them and we moved into a period in which huge typeface, multilingual families with many styles were popular. How would you describe the prevalent style of our current period? FG: In my opinion, Emoji is the most significant type style today. IR: Even from a sales point of view? FG: Who cares about sales? Helvetica is not necessarily so popular because it just sold so much. It has been popular because it was embedded in a system. Emoji is also embedded in a system. I am sure that 10 years from now, this time will be described as the emoji period. People are super excited about emoji, and these aren’t people normally excited about typefaces. IR: As type designers, how do we react to this? FG: I think we have to embrace it! One example for that would be my friend Paul Hunt, who is also my colleague: He participates in the Unicode committee and part of his job there is drawing the representation glyphs for new Emojis. It is a great thing to do, but it can also be very complicated. Paul has to draw very challenging things, like a hockey goal. And how can you draw a hockey goal and not make it look like a pizza oven? This was a real problem he had! Paul certainly makes a mark on in the world of Emoji, because he informs other designers with examples for their Emoji interpretations. Through Emoji, a totally different demographic of people becomes interested in type – because Emoji, after all, is type. IR: Over the years, we’ve reviewed the best-selling, best drawn, and most creative typefaces. Looking at Typographica’s best collection of five years ago, I notice that some of the typefaces are out-of-date. IR: From a technical point of view, you are working with many modern technologies. In which direction are we moving there? FG: I think that type design is becoming more systematized. Something relatively new in typeface design is version control, like in software development. Version control has been made possible through the UFO format, which is universally readable in different font editors. The unified format UFO has also caused a diversification of tools, and there is a very active community around those tools on places like Github. Even the Adobe FDK is on Github now! I think the openness and easy availability of these tools helps designers to be more creative. IR: What project is most representative of where we are currently in typography to you? FG: I would say an excellent example for a great contemporary project is “Operator” by Andy Clymer. It has some great ideas dealing with proportionality and non-proportionality, and is also a great design. Another representative project would be “Action” by Erik van Blokland, which uses metric-compatible styles in a way not done before – specifically for web design! A great idea! IR: Is there anything you’re looking forward to? FG: I’m waiting for InDesign to become a better typesetting system and be updated to the capabilities of Type Today. I am looking forward to full Opentype support in all web browsers. I am happy about Robofont getting better and better – so many things to be excited about! More and more people are using fonts and there are more fonts than ever before. But will it stop? I think not. It think the future for fonts is bright!